The chiseled, natural stone look of Cumberland gives freestanding or retaining walls a refined appearance. Available in a 3-shape bundle with corner units available, these 6” tapered blocks are ideal for constructing seat walls, fire features, grill islands, pillars, steps, curved or straight garden walls and retaining walls. 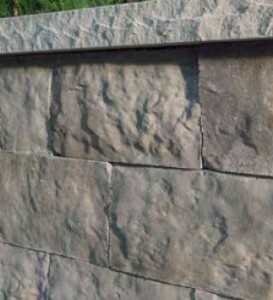 Pair it with Ledgestone caps or natural stone coping to complete the look.